Hioki clamp sensors are best-in-class measuring devices incorporating Hioki’s expertise in current sensing technology. 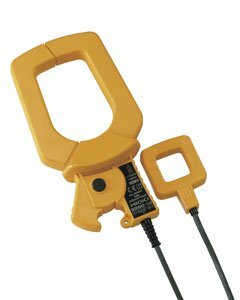 The 9290-10 is a clamp-on adapter rated for 1500A AC, and features a 10:1 CT ratio. In addition to the large clamp diameter, broad frequency characteristics and good phase characteristics, the CT reliably provides Hioki clamp on power meters with expanded range and large current measurements.